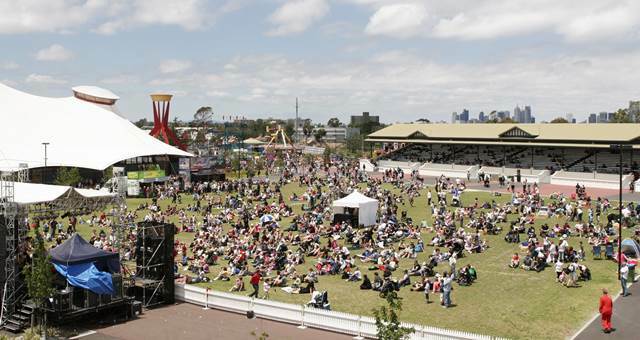 The end of September means three things to Melburnians: the AFL Grand Final, school holidays, and the Royal Melbourne Show, at the Melbourne Showgrounds in Ascot Vale. Held annually by the Royal Agricultural Society of Victoria since 1848, the Show has grown over the years from a festival of livestock and agriculture to a fortnight of entertainments and delights, for all ages and tastes. This year it fits neatly into the holidays, running from Friday 22 September to Tuesday 2 October, 9.30am to 9pm daily. Here you can see, pat and feed hundreds of farm animals, and even try your hand at shearing a sheep, or milking a cow. The displays include horse show jumping, working dogs demonstrating their skills, and the popular wood chopping competitions. Among the daily events are the Monster Truck and Motocross Stunt Show, at 1.15pm and 7.15pm, and the Show's nightly fireworks spectacular from 7.45pm to 8pm. New this year is the Body Worlds Vital exhibition of individual organs and translucent slices that give a complete picture of how the body works. The Show also offers some high quality live entertainment. Legendary Cold Chisel singer Jimmy Barnes gives a one night only concert, and Damien Leith, winner of Australian Idol in 2006, performs songs from his brand new album. There are many fun rides for kids and adults both, like the Sky Wheel, roller coasters, and The Beast, the largest ride in Australia, reaching a height of over 40 metres. Alien Abduction gives you the experience of 4 G's of centrifugal force as the spinning starship rotates with awesome lighting effects. For gentler tastes, there are carousels, jumping castles, a miniature railway and play areas like the Pirate Ship. Kids can choose from a range of 366 showbags containing sweets, toys, sports merchandise, superhero and movie souvenirs, and much more. Standard ticket prices are $40 for adults and $20 for children over 4. Two types of family ticket are available. Online bookings made before 22 September get a 20% discount, or 30% for RACV members. To plan your day out, view the program at royalshow.com.au.